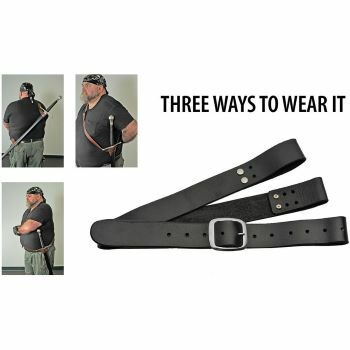 37.5" overall. 30" unsharpened carbon steel blade. Black leather wrapped wooden handle. Iron guard and pommel with cross. 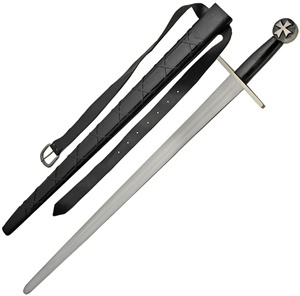 Black leather wrapped scabbard with belt strap. 45" Overall with a 36" polished, unsharpened stainless blade. Stunning cast metal handle with decorative engraving and red material handle inlays. Complete with wall plaque and fixings. 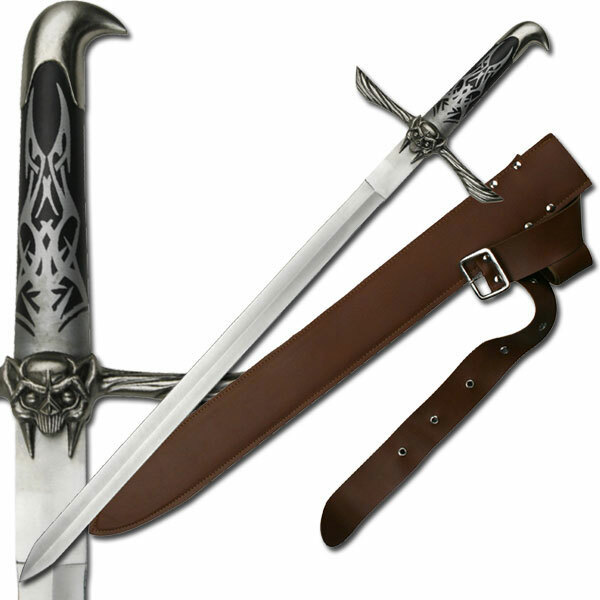 Best quality version of this sword available. 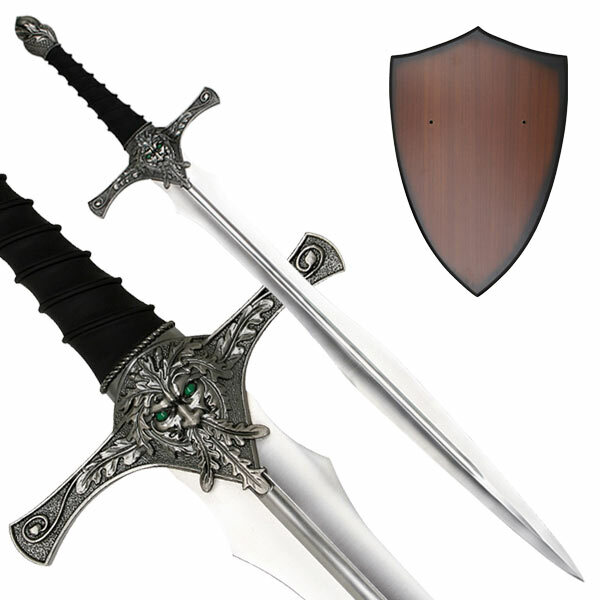 This is an incredibly well finished sword by Master Cutlery. 46.5" Overall with a 32" unsharpened, polished, stainless blade. Cast metal pommel and crossguard measuring almost 2" at it thickest point. The handle is rubber and is moulded to look like a leather wrap. 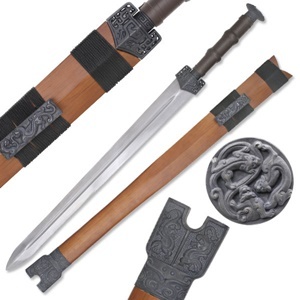 The detailing to the crossguard is superb, this is a very heavy item. Complete with wooden plaque with lacquer finish and fixings. 33.25" Overall with a 20" hand sharpened, heay weight carbon steel blade with bohi. Aged etal fittings with detailed traditional dragon theme. Leather wrapped handle, wooden saya with cast metal fittings, great looking sword, very authentic look and feel.